A defensively-poor Arsenal slip to a second home Premier League loss of the season, going down 3-2 to London rivals Crystal Palace in Sunday's clash at the Emirates. Relive Sports Mole's live text coverage of Arsenal's 1-0 win at Napoli, as Alexandre Lacazette's free kick made certain of the Gunners' progression. The strikers have scored 37 goals between them for Arsenal this season. Sports Mole previews Sunday's Premier League clash between Everton and top-four chasing Arsenal, including predictions, team news and head-to-head records. Relive Sports Mole's live text coverage of Arsenal's 2-0 victory over Newcastle as the Gunners moved into third with their 10th straight home league win. Gunners have had to recover from first-leg deficits twice to reach the Europa League quarter-finals. The French side holds a 3-1 lead over Arsenal going into the second leg of the last-16 clash at the Emirates Stadium. 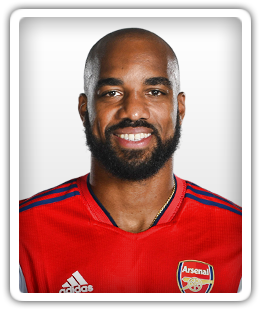 Lacazette had been punished after being shown a straight red card. Manchester United full-back Ashley Young does not believe that Arsenal should have been awarded their second-half penalty in Sunday's clash at the Emirates Stadium. Granit Xhaka and Pierre-Emerick Aubameyang register as Arsenal beat top-four rivals Manchester United 2-0 at the Emirates Stadium. Alexandre Lacazette and Henrikh Mkhitaryan scored in a 2-0 win over Southampton.